One of my favorite Food Network shows is Tyler’s Ultimate. 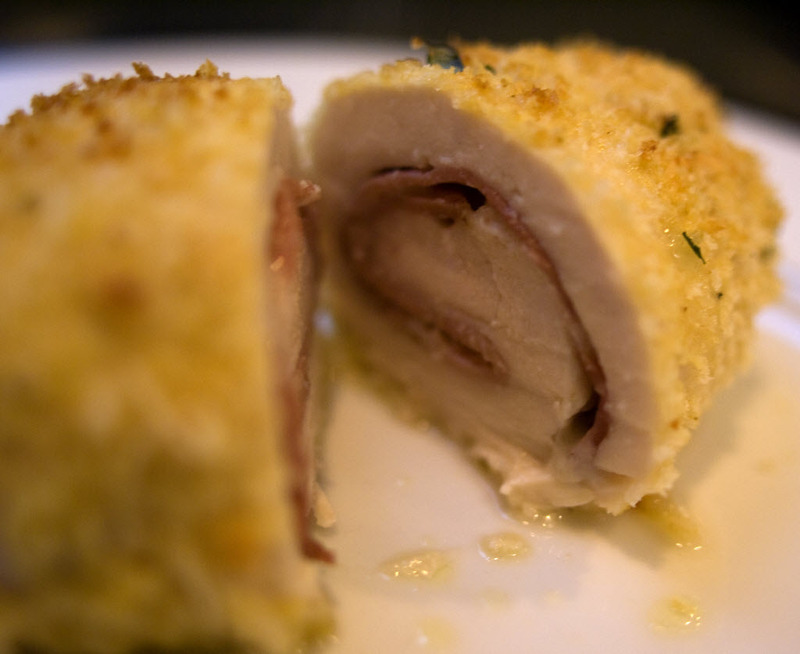 Each episode Tyler creates his “ultimate” version of a dish. My first attempt at one of his recipes was his Chicken Corden Bleu. This dish is a roulade, a flattened chicken breast wrapped around ham and swiss, breaded, and then either baked or fried. This dish is baked, not fried, and the Panko bread crumbs make an excellent crust.